While you're building that free Christmas collection, consider adding Wrapped In Red by Kelly Clarkson. Google has also made that album available for free. Christmas is coming. You can sit around next to a paper calendar, crossing out the days, or you can put on a seasonal album and start moving. Don't have any Christmas albums? I know, it's not exactly what comes to mind for many of us during the rest of the year (hey, not everyone has the urge to play Jingle Bells in July). Fortunately Google is looking out for you. 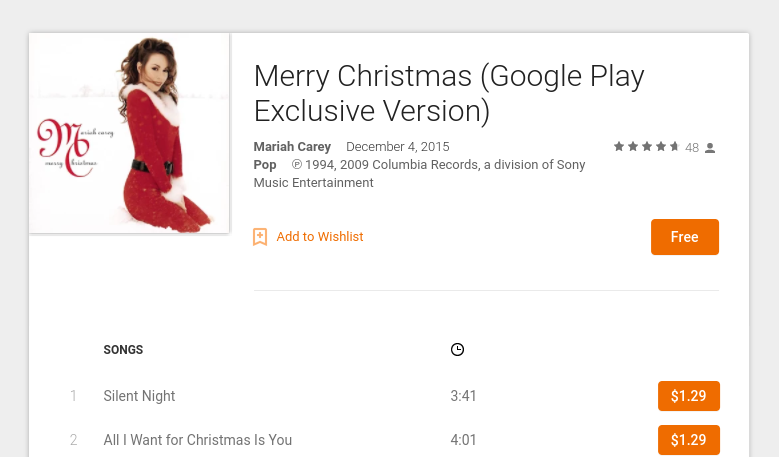 You can currently download two merry albums for free on Google Play. One is Mariah Carey's 1994 hit Merry Christmas. Whether you know it or not, you've probably heard a few tracks from this release. Don't you remember the time someone told you, "All I Want for Christmas Is You." 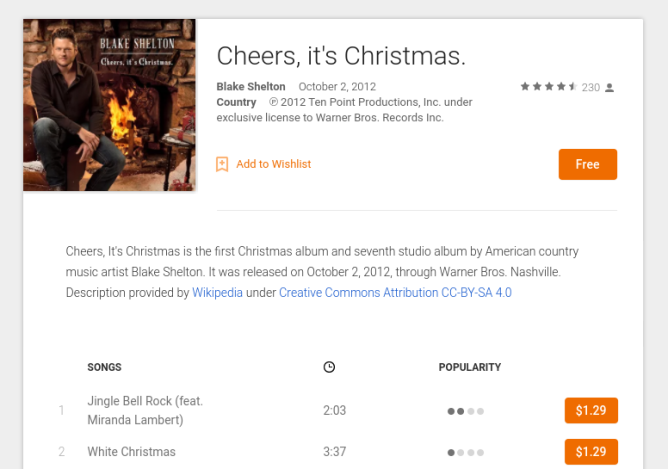 Folks looking for something a little less pop-y, more country, or more recent can go for Blake Shelton's Cheers, it's Christmas. Let the little kid run through you as you listen to "Jingle Bell Rock" for the first time since grade school. Just like a Christmas tree, you can find the free gifts below.